As some of the guys are already aware i have now started investing amounts of money into slotcar parts and the like to help supply all the the racers here with what they might need i have already ordered a bulk lot of Digital chips (around 30 some DPR the others Retro fits) have also got other parts coming like motors and controllers and alloy rims ect but over the next few months will be expanding the sale of parts and am currently in talks with suppliers to hopefully be able to sell cars and the like soon too. I have also purchased the New Adavanced 6 car Powerbase to replace the PBPRO (so the next racemeet or 2 will be the last with PBPRO) have also brought the upgrade items to upgrade the new powerbase to the High Power mod, having the new Powerbase will allow the guys to also purchase the new Bluetooth Wireless controller option i am also looking at running the Scorpius wireless controllers too. Once the track is upgraded and i get a fence erected to keep my dog away from the shed and hopefully soon concrete infront of the shed we will be looking to open the doors of a weekend and of an afternoon/evening from Wednesday through to Fridays, so on non racedays the Track will be for hire for a small price but will still remain free for practice on Racedays. If things start taking off and then i will be looking at expanding the shed to firstly accomodate a toilet and more space to sell parts ect and possibly track expansion. 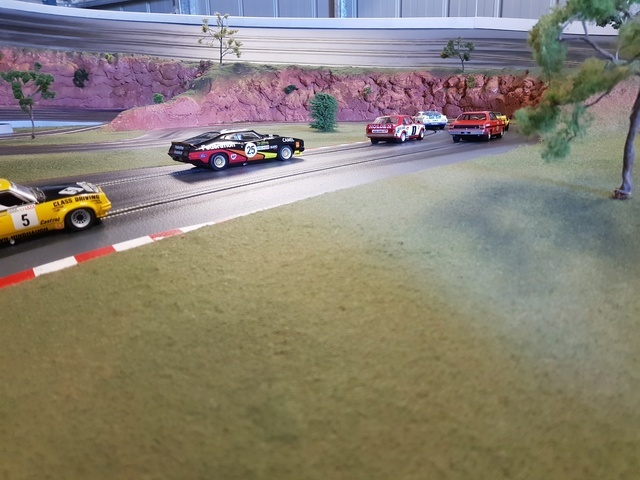 But please bear in mind that some of these things will take a few months to complete but i think it is a positive step forward and also helps to make the track more accessable for you guys outside of racedays, because if it wasn't for you all turning up at my racemeets these future plans would just not be possible. Woohoo. let the good times roll.